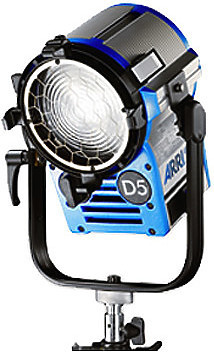 Where a lightweight Fresnel spotlight using daylight characteristics with compact size and high efficiency are needed, ARRI TRUE BLUE D-Series Fresnels are the preferred choice. 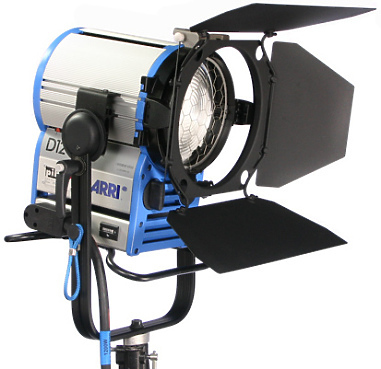 Following the introduction of the True Blue tungsten lamp-heads, ARRI is proud to present four new products making up the True Blue Daylight series – all offering the same innovative features and award-winning design. 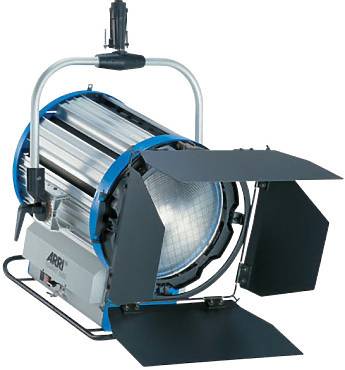 Where a Fresnel spotlight with daylight characteristics and compact size, high efficiency and lightweight is required, the ARRI COMPACT Daylight Fresnel is the preferred choice. 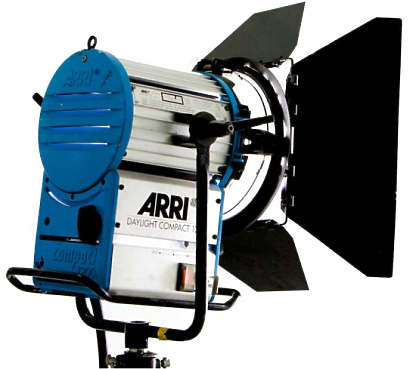 Arri Compact 1200 Watt HMI Kit. 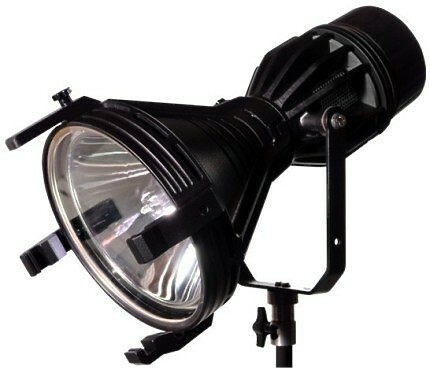 The fixture sports a 6.9″ lens that provides a smooth, even field of light. 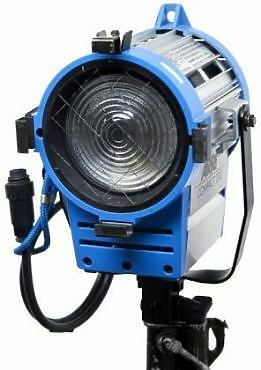 Arri Compact 2500 Watt HMI Kit. The fixture provides a smooth, even field of light. 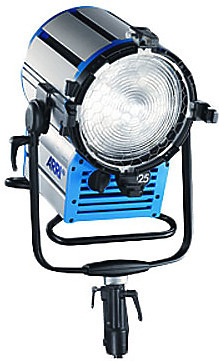 Powering the HMI fixture is the Arri multi-voltage ballast. 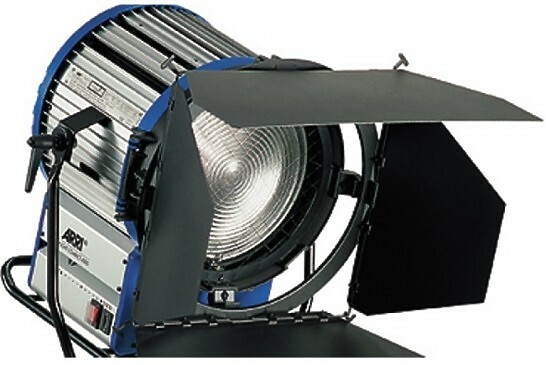 Where lightweight Fresnel spotlights combining daylight characteristics with compact size and high efficiency are required, ARRI Compact Daylight Fresnels are the preferred choice. ARRI's elegant modular construction, using corrosion-resistant aluminium extrusions and lightweight die castings, offers great structural strength and weather resistance. Together with ARRI flicker-free Electronic Ballasts, the rugged Compact range is ideal for all locations. Dedoflex 5ft octodome Diff 152cm Depth – 40.5cm. 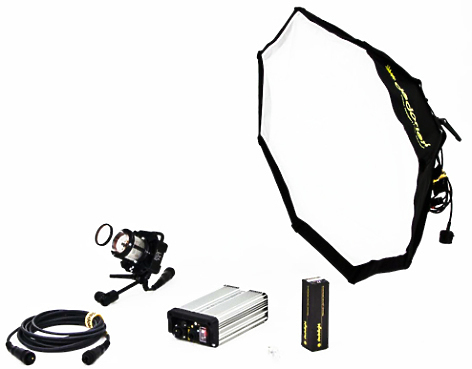 The Dedoflex Octodome features a huge diffuser area (Ø 150 cm, 5′) producing a beautiful, wrap around, soft light.